I am working on an in-depth post about new guidelines issued from the American Psychological Association regarding physical discipline i.e. spanking and children. For now, I wanted to post something that’s less research-intensive. I’ve been thinking about kids & gratitude. Lately, as a parent, I vacillate on how much to push my children to say “thank-you” to me and to others. Firstly, I’m big on people (all people, not just kids or my own kids) saying “please” and “thank-you” or “no, thank-you.” To me, it’s the least one can do if someone is offering you something or gives you a gift or a compliment. I usually cringe when someone neglects to say thank-you after dinner has been made or a gift given or someone goes out of their way to do something nice. However, similar to recent expert advice provided on kids & hugging, I am wondering if children should be forced to say thank-you by parents, relatives or teachers. Obviously, saying something verbally isn’t as intensive or invasive as having to hug or kiss a relative or friend but, perhaps pushing children to say something that’s not natural to them, isn’t right either. Or, have we all become too politically-correct? Isn’t is a parent’s job to teach their kids right from wrong as well as manners and socially acceptable behavior? Usually, I’m steadfast in my thoughts about such things but, as mentioned above, I’m struggling with this lately. What are your thoughts? Do you “force” your child to say thank-you or write a thank-you card when given a gift or cash? Did that change as they got older? I’d love to hear your thoughts on the matter. If you or your child deals with insomnia (*raises hand*) and/or sleep challenges due to autism, anxiety or depression, you may have considered investing in a “weighted blanket” to encourage better rest. Whether or not you’ve tried one, you’ve most likely heard about weighted blankets as they are wildly popular right now. Here is an overview: weighted blankets are regular blankets or comforters filled with, well, weights! These can vary from plastic pellets to metal ball-bearings or chains to engineered heavy foam inserts. The general idea is that the firm pressure from the blanket feels heavy, snug and cozy – allowing people to fall asleep faster and sleep longer. Though the idea is meaningful and there is plenty of anecdotal evidence showing that weighted blankets promote better sleep, has it been scientifically proven? The results vary. The results of a small 2015 study in Sweden can be found in Positive Effects of a Weighted Blanket on Insomnia. In this scientific study, people of varying ages with insomnia tried out and reported back on their quality of sleep using one particular weighted blanket. This is good news. However, I notice that the weighted blanket used by participants is produced by the same company that sponsored the study. This is both curious and worrying. There are other studies of course. And, regardless of their results, it is not to say that a weighted blanket won’t work for you, your child or loved one. But, again, it appears that it is not a “one size fits all” solution. When it comes to weighted blankets, there are myriad options for weight, size, colour and style. Weight-wise, it seems the most popular categories are: 10 pounds, 15 pounds or 20 pounds. Apparently, one should use a blanket that is 10% of your weight. So, if your child is 100 pounds, buy her a 10 lb. blanket. The outer covering can be made from anything from polyester to satin to bamboo to cotton. Styles/sizes seem to focus on queen or king-size but I am sure singles and doubles can be found. There are myriad colours available but, again, generally I’ve seen mostly grey, brown, white, cream and taupe. I am keen to try one out. Unfortunately, my initial jubilation about purchasing such a blanket has abated. You see, I had recently spotted an ad for a Canadian-made weighted blanket on a social media site (Instagram I believe) offering a special $15 discount. That was just the push I needed as I was considering buying one anyway. As you may know, they’re not cheap: Including the $15 discount and free shipping, with taxes it was still going to be $241 CAD. I was willing to pay that if the health benefits proved true. However, sadly, it appears this particular company (I won’t name it at this point) is either unscrupulous, unusually busy or highly disorganized. Their initial estimated shipping time went from “end of January” to middle of February to, now, February 22. I ordered and paid for the blanket on January 15! So, um, no. Suffice it to say that I’ve now called my credit card company and asked them to cancel the payment and the order. Have you tried a weighted blanket with positive results or do you have a family member or friend pleased with their results? If so, please comment or contact me to recommend a company (big or small) from which to buy one. I am still game to try out a weighted blanket. However, as outlined above, I had a negative initial purchasing experience and there are so many options to consider and factors involved. Should I end up buying one, I promise to provide an update. Since both of my children’s birthdays are coming up soon, I’ve been reflecting and feeling melancholy, thinking about their younger days and some of the lessons I’ve learned. When my son was younger, say 6 or 7 years old, like many moms, I’d set up or help facilitate play dates for him and my daughter. If anything went wrong, say an argument between the boys or teasing that went haywire, I’d often step in – not as a grumpy “hey, my child is perfect” tiger mom but just to see what had happened and if there was any good solution. Of course I did this with the best of intentions. I soon learned (with the help of some shy advice from a neighbour) that stepping into your kids’ social life is generally a no-no. Almost always, my seemingly innocent intervention would cause more stress or headaches for my son and his friends. So, now, unless it’s a really big deal, I try to stay out of it. Yes, it’s hard sometimes and, as he and my daughter grow, there will be times that their father or I will have to get involved. But, I think it’s helped that I can provide advice and support but not march in to “save the day” (which didn’t really work anyway). What’s your take on getting involved with your child’s social life? This post on Facebook made my eyes fill with tears. Parties can be hard. Even when you’re popular. They’re especially hard when you’re unpopular, different or shunned in some way. The compassion of including a boy with autism to a child’s birthday party (and going so far as to make alternate arrangements to make sure he’s comfortable) certainly made this mom’s whole day – possibly her whole year. 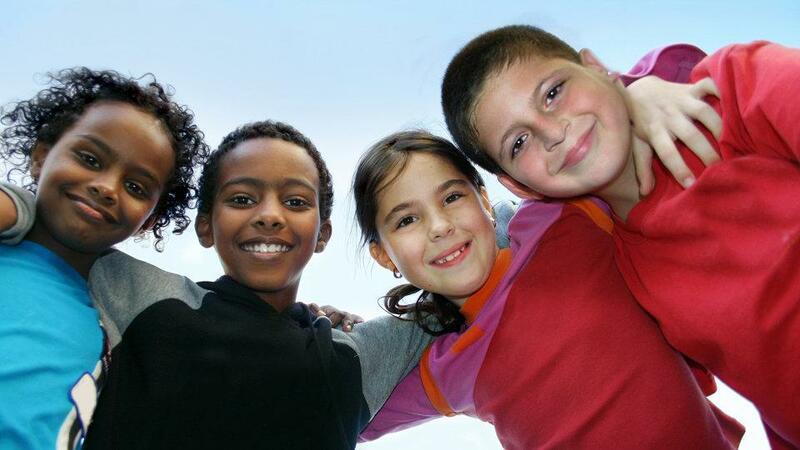 While it’s easy to dismiss kids who may be hard to handle, disruptive or shy, please encourage your child to invite “outsiders” to parties and playdates. This simple effort can make a world of difference to another human being. Playing board games as a family isn’t always the picture perfect TV commercial some might think. At least in our family it isn’t. 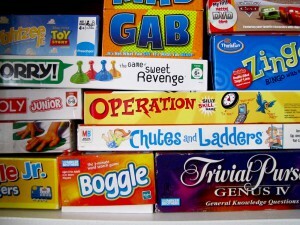 More often than not, games night (or day) ends in someone crying, yelling or stomping off. I decided today that we’d play only as much as we could during a rainy day game of Risk. I think we lasted more than an hour when voices rose loud in competition and the energy reached its peak. Some might think it’s a failure to “take a break” and go our separate ways. I think it’s pure strategy. No one gets hurt, there was no yelling or sore feelings and we got to enjoy some creative non-screen interaction for more than an hour.